If you follow me on Instagram you would know that I am pretty much OBSESSED with pancakes. I love having them for breakfast (not just on Sundays) and topping them with tonnes of fruit and nuts. Because I have them so often, I’ve been trying to create a healthier recipe for them, and I think I’ve found one. 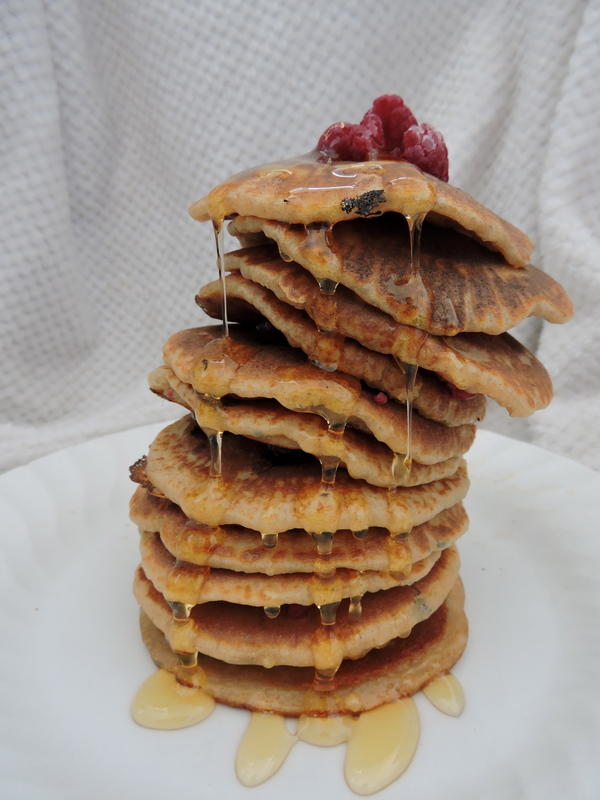 This recipe is super easy to make and you end up with a delicious stack of fluffy pancakes. Whip them up for a guaranteed great start to the day! As with all recipes, this one is easily customizable. Use your choice of plant-milk, oil and flour. This recipe also works well when substituting the apple sauce for 1 ripe banana. In a medium frying pan, add a little bit of oil. Place onto medium heat and let the pan warm up. Add one ladle of batter to the pan at a time. When the batter starts to bubble, flip the pancake and cook until golden brown. Repeat until all batter is used up. Let me know if you end up making these; I would love to know how you found them!